L Speed is a modification that combines tweaks inside an intuitive application Its goal is to improve overall performance reduce significant lags and extend battery life. L Speed comes with a nice and clean user interface. Options such as tweaks are separated with sections their explanation can also be opened with a long click. L Speed also supports changing theme colors with Light and Dark option available to suit everyone's taste. You may also need to whitelist L Speed from memory cleaning autostart hibernating or similar functioning apps or features on your device. 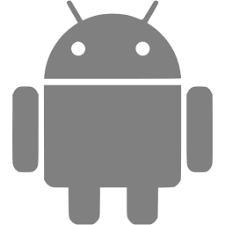 android.permission.READ_PHONE_STATE - Allows an application to read current phone state needed for checking is data connection On required for battery optimization. android.permission.READ_EXTERNAL_STORAGE - Allows an application to read from external storage required for backup&restore. android.permission.WRITE_EXTERNAL_STORAGE - Allows an application to write from external storage required for backup&restore. Starting from this update we are focusing on optimizations for heavy games such as PUBG, Mobile Royale, AGE of magic, Garena Free fire, Grand Theft Auto and much more.